Russia Goes On Permanent 'Summer Time' This Weekend; Should The U.S.? : The Two-Way How about it? Would an "extra" hour of light in the evening during winter be a good idea? 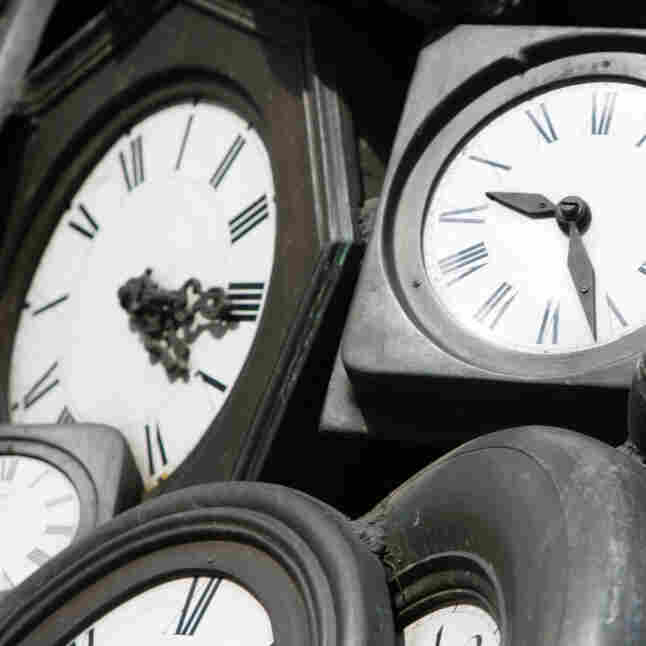 Should the U.S. stop changing its clocks? Is it time to stop changing them? Or, to put it another way, should Americans stop going "off" Daylight Saving Time every winter? We ask because Russia, as The Guardian notes, "puts forward its clocks for the last time this weekend." NPR's David Greene reported on All Things Considered last November that President Dmitry Medvedev pushed to end the practice of "falling back" an hour in the autumn because it's just so depressing for folks to go through Russia's already quite long winters without that "extra" hour of light in the evenings. There are parts of the U.S., including Arizona and Hawaii, that don't change their clocks. Here's a question: Should the rest of the nation just say on "summer time" permanently so that our evenings always (sort of) last longer? The trade offs would include darker mornings, so to speak, and that's always thought of as being a potential danger for children going to school and a drag for farmers and others who start their days quite early.